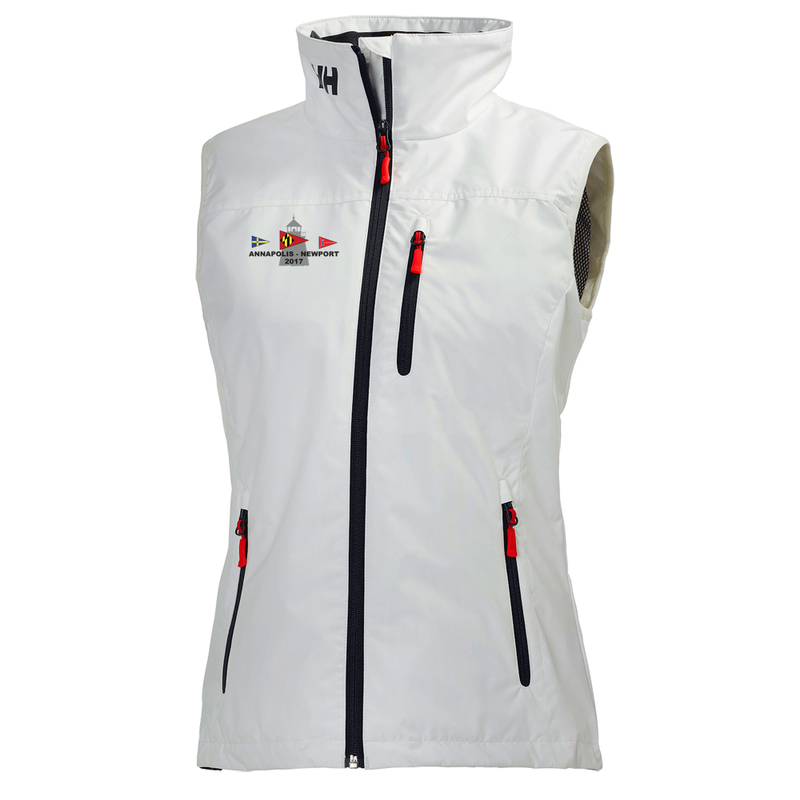 This lightweight and stylish vest for women during windy summer days on the water features the 2017 Annapolis to Newport Race logo embroidered on the right chest. This lightweight stylish vest for men is the little sister to our best-selling and hugely successful Crew Jacket. An ideal sailing vest for windy summer days on the water. The Helly Tech® Protection fabric is waterproof, breathable, and windproof with fully sealed seams. The vest features a zipable chest and hand pockets.